Indonesian Navy divers on Monday retrieved the cockpit voice recorder from the ill-fated Lion Air Flight 610, that plunged into the Java Sea minutes after taking off from Jakarta in October last year, killing all 189 people on board. The discovery of the cockpit voice recorder is a major breakthrough as it could help solve the months-long mystery as to why the brand new Boeing 737 Max 8 plane plunged into the sea. The voice recorder, one of two so-called "black boxes," was found by the divers inside the current search area of 500 to 1,000 metres from the crash site and was buried below eight metres of mud on the seabed, CNN quoted Indonesia Navy spokesperson Lt. Col. Agung Nugroho as saying. 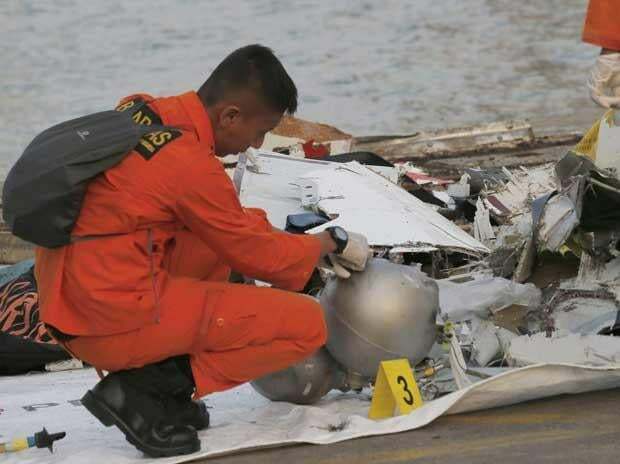 With the discovery of the device, all eyes will be now on the investigators gathering data, who are hoping that it would contain the audio of the pilots' conversations before the Lion Air plane crashed. Captain Nurcahyo Utomo from Indonesia's transport authority KNKT said that the cockpit voice recorder should be dried for about four days and cleaned thoroughly for another day before the audio can be downloaded. However, if the device, which spent over two months underwater, has technical issues, then it would be sent to the US for detailed assessment. The first part of the black box of the doomed plane, recovered on November 1 last year, revealed that it had performed 19 flights in total including its final flight scheduled from Jakarta to Sumatra. Investigators of the Lion Air Flight 610 had confirmed that the airspeed indicator of the aircraft had malfunctioned during its last four flights. They had discovered the fault after analysing the flight data recorder (FDR) of the ill-fated plane. The black box is an important source for retrieving information linked to the mystery behind the crash of brand new Boeing 737 Max 8 jet in clear weather conditions.